One, two, three….yes this recipe only calls for 3 simple ingredients and BAM…a delicious side dish is on the table for dinner. During the school year I need EASY and QUICK recipes. I know other busy parents feel the same way. 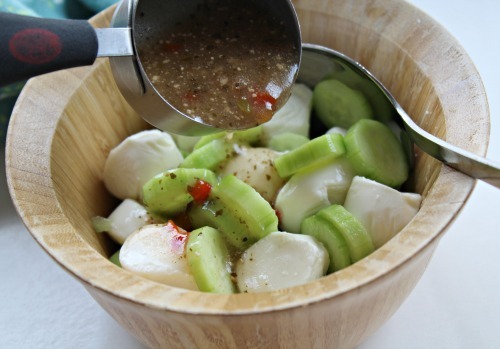 That is why I think this 3 Ingredient Mozzarella and Cucumber Salad will put smiles on your face for sure. Our family is starting off the school year with one child starting preschool, one starting middle school and one going into her junior year of high school. 😆 I think we will be going in all directions for sure. My middle daughter is going out for tennis and that is a new sport for our family. Weeknight meals need to be fast and simple. I love fresh mozzarella cheese. It is something I have always liked, but honestly I have a whole new appreciation for it after spending a week in Italy last spring. We ate a LOT of fresh mozzarella cheese! YUM! It is cucumber season here in Kansas and I love being able to bring some freshness to the table whenever I can. 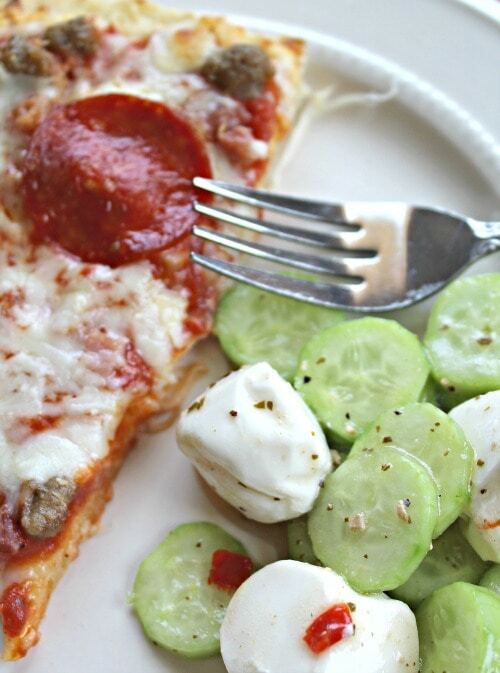 Cucumbers are such a versatile veggie and they pair really nicely with mozzarella cheese. It probably isn't any surprise that pizza is a favorite meal for our family. What you may not know is that we are just as happy cooking pizza at home then we are ordering out. My family loves eating Tony's Pizza and I can honestly say that I have been eating Tony's Pizza since I started cutting teeth! 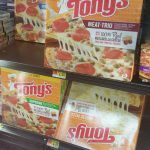 Tony's Pizza has been serving authentic pizzeria style pizza since 1960 just up the road from me in Salina, Kansas. I remember being so excited when my parents had a date night because that meant mom would leave Tony's Pizza for us to eat for dinner. 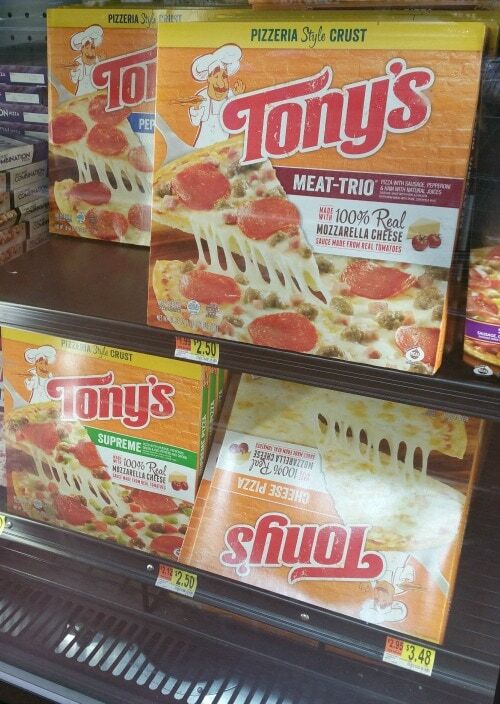 I like to grab a few Tony's Pizzas when I am getting groceries at Walmart. Nothing better on a busy night then being able to grab a Tony's Pizza out of the freezer for our main course! 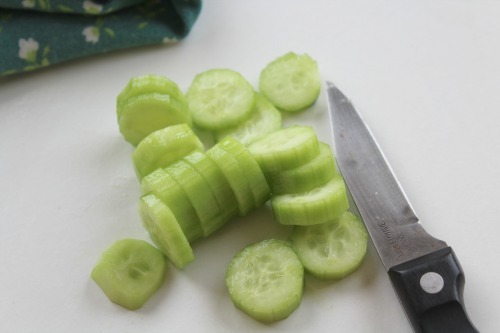 Next I slice my cucumbers into slices about 1/4 inch thick or so. 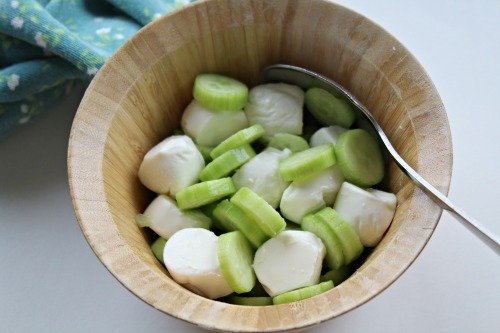 Add cucumbers and fresh mozzarella cheese balls into a bowl. 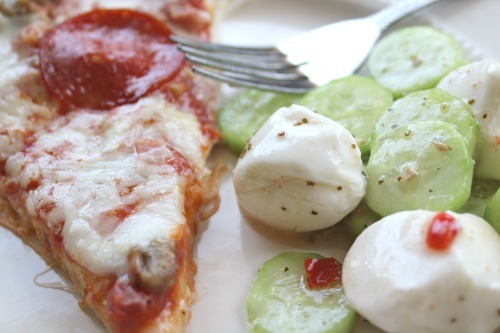 Pour any flavor of vinaigrette dressing over the cucumbers and mozzarella cheese and stir to coat. I used a 3 cheese vinaigrette dressing and it was WONDERFUL! Feel free to use whatever flavor your family prefers. If you like a LOT of dressing you can also add more than 1/2 cup. If you like less…add less! This recipe is easy to adapt for family preferences. 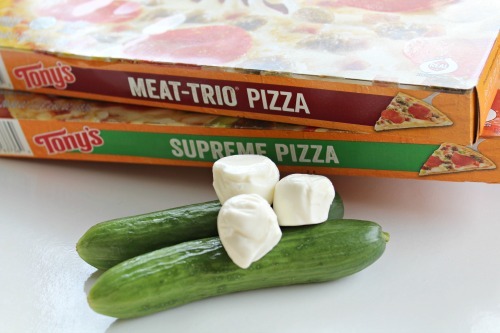 Serve this up with a slice of Tony's® Pizzeria Style MEAT-TRIO® Pizza and you are set for an amazing dinner. This is a meal I know will give my daughter the umph she needs to get out on the tennis court and give it her all! Seeing a local company grow into a household name and then continue to give back to local communities warms me up inside. Tony's Pizza cares about youth sports and being able to fuel kids with a slice of pride!! To show how committed they are to giving back to communities they are having a Facebook Sweepstakes campaign centered around Kansas and Kansas City, Missouri. Be sure to check out all the details of the sweepstakes HERE. 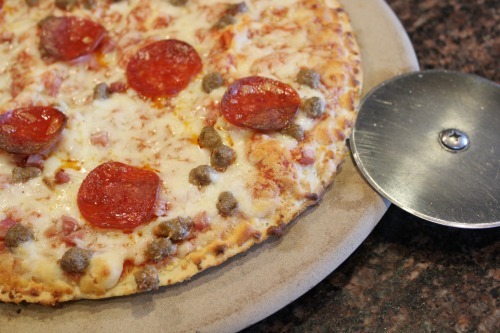 Do you have a favorite Tony's Pizza variety? There are some good ones to choose from! 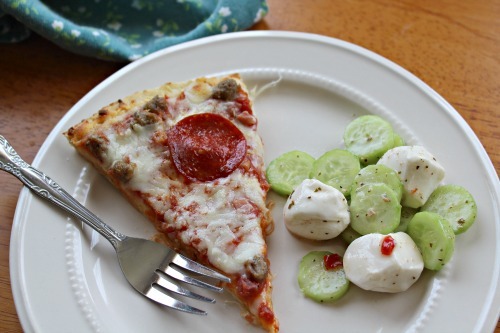 What is your best quick and easy side dish to pair with pizza? 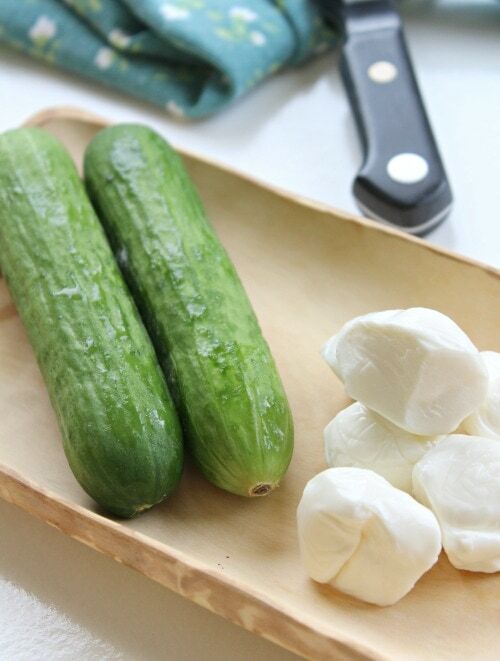 A quick, easy, no cook side dish that is low carb and full of flavor this 3 Ingredient Mozzarella and Cucumber Salad will have you asking for seconds. Refrigerate any leftovers in a covered container.